I can’t help but smile when I see this sign. I saw a pillow made with this quote a few years ago, and put the idea in a file folder in my brain for the future. 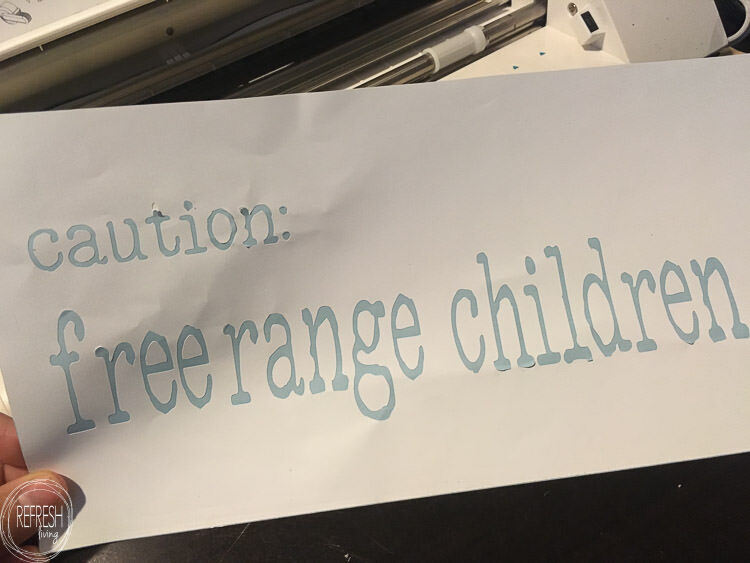 Well, there was no better time than right now to finally create my own “free range children” warning to all who enter our home. I’m firm believer in letting young kids explore, create, investigate, and ultimately get filthy. Don’t get me wrong, I also recognize the importance of structures and guidance – kids need those too to grow into healthy adults, but there is something to be said for letting kids “free range”. Besides the fact that I have three young girls, we also just added three chickens to the mix. Yes, we will have a backyard full of free range children and chickens in a few months. I can’t wait. 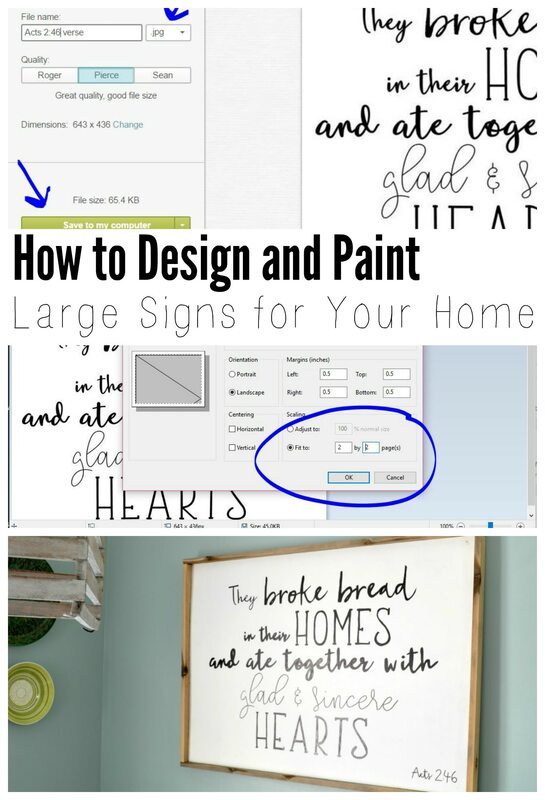 Here’s how you make this DIY farmhouse sign. 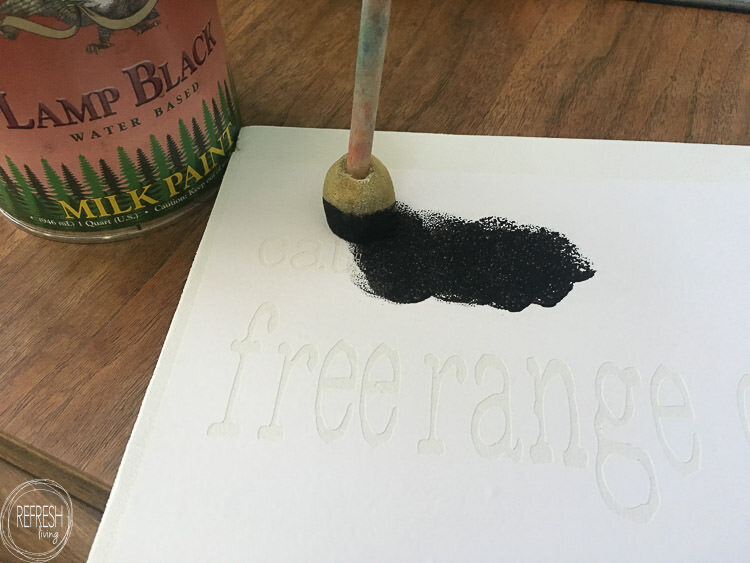 Of course, you can use this tutorial to make the base for any sort of hand painted or stenciled sign. Start by cutting the pieces of plywood into the size of the sign you want to create. I use my mini circular saw and Kreg rip cut to make perfect rips. 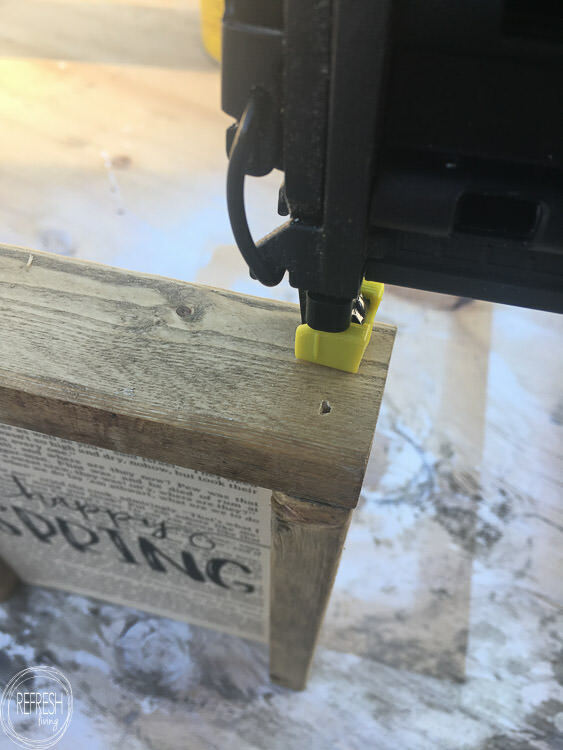 I only recently tried out the Kreg guide, and I only wish I had used it sooner. I use it whenever I need to cut large boards, and my rips are perfect. 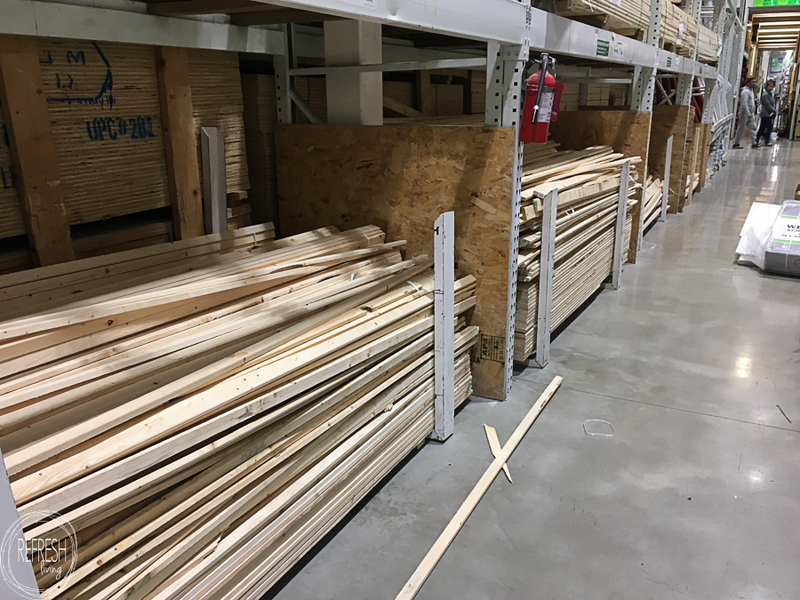 If you don’t have a circular saw or table saw, I’d recommend buying a pre-cut project board at a craft store or home improvement store. Then, just make your sign that size! After priming the board and then painting it with a couple of coats of white paint, it’s time to paint the graphic on the board. There are two options for this – using a stencil or an image transfer technique. 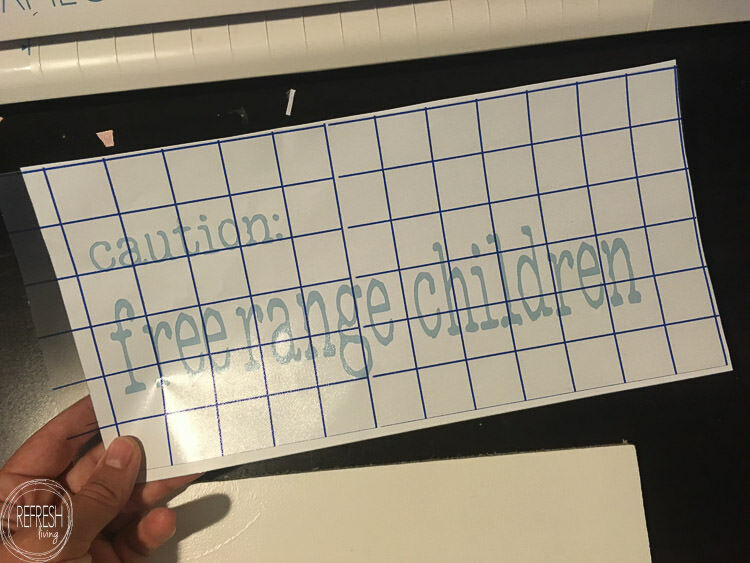 No matter which method you choose, you are welcome to use the “Caution: Free Range Children” graphic I’ve already created for your sign. To gain access to this design, as well as all of the other graphics stored in my graphics library, just sign up for my weekly newsletter. If you’re interested in designing your own sign with your own fonts, you can read this full tutorial on how I design signs. To create the stencil, I used my Silhouette to cut out the image in vinyl. When I create stencils, I always use transfer paper to make sure the stencil can adhere to the sign without bubbles or without sticking together. The extra $0.25 or so is definitely worth the amount of hassle of trying to peel and stick the stencil on perfectly. I used my tried and true trick for getting perfectly clean lines when using a stencil. Basically, I first paint a layer of clear acrylic topcoat, let it dry, and then paint with the color. In this case, I used black acrylic paint. 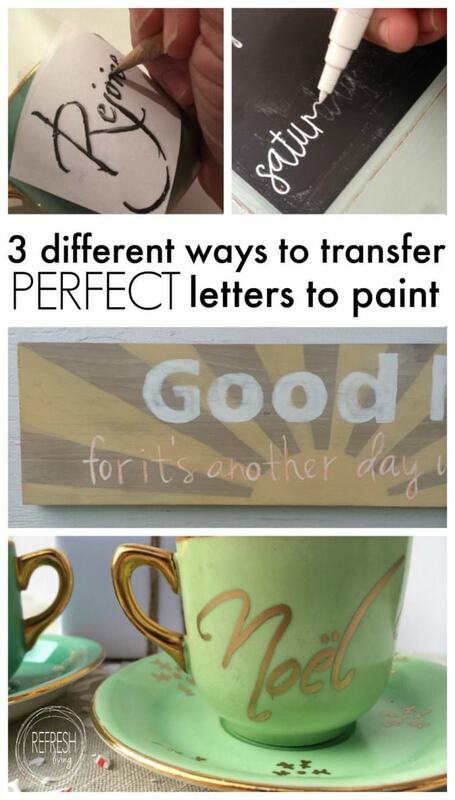 Alternatively, if you wanted to hand write the design using a paint pen or permanent marker, you could follow this tutorial to transfer the image to paint. I prefer to use 1 x 2″ furring strips for the frame, because they are super cheap – something like $0.70 for an 8 foot board. The trick, however, is that I often need to dig through the pile to find a straight, in-tact board. I usually just bring a pair of scissors so I can cut through the plastic ties holding a bundle together. I always find a nice board if I open up a new bundle. The other option is to head over the trim department where they have boards that are approximately this size too. These boards will be cut much cleaner, be free of knots, and it will be much easier to find a straight board. They are a couple bucks more expensive, but depending on the look you are going for, it might be worth it. 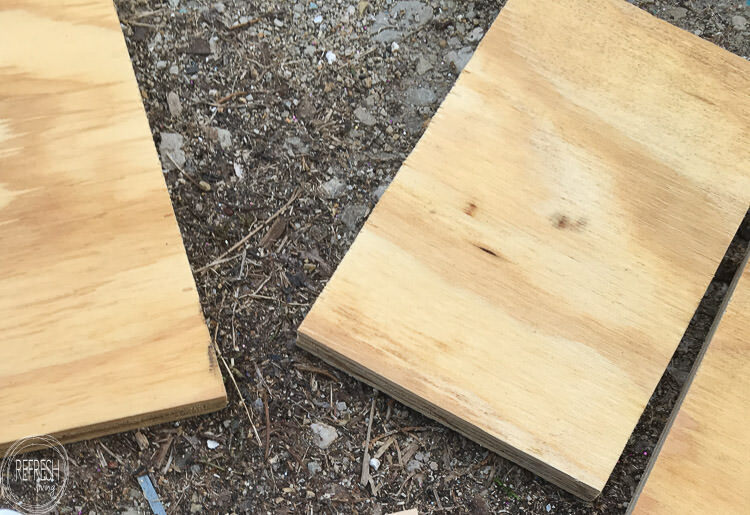 I cut the board down into two pieces that measure the exact size of the side of my plywood. Then, I lay them out next to the plywood, and measure the total distance across. This is the length I cut my other two boards. 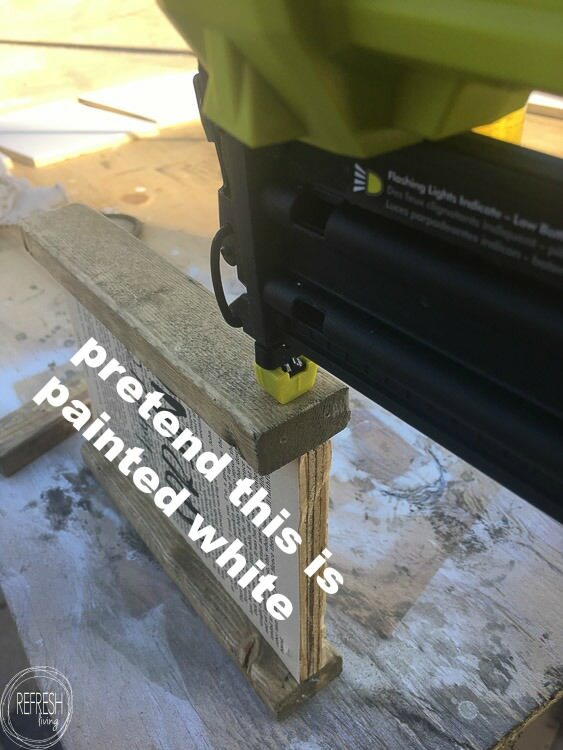 After the pieces are cut and stained, simply put a little wood glue on the edge of the plywood, place your 1 x 2″ in place, and nail it in to the plywood. I also place a nail or two in the top and bottom board going into the side boards as well. Love it! My husband and I tend to say our kids are on a “long leash”, lol. Visiting from Makers Party. That is way too much work for me but I will pay you to make it for me!! But I seriously need that sign in my home somewhere.